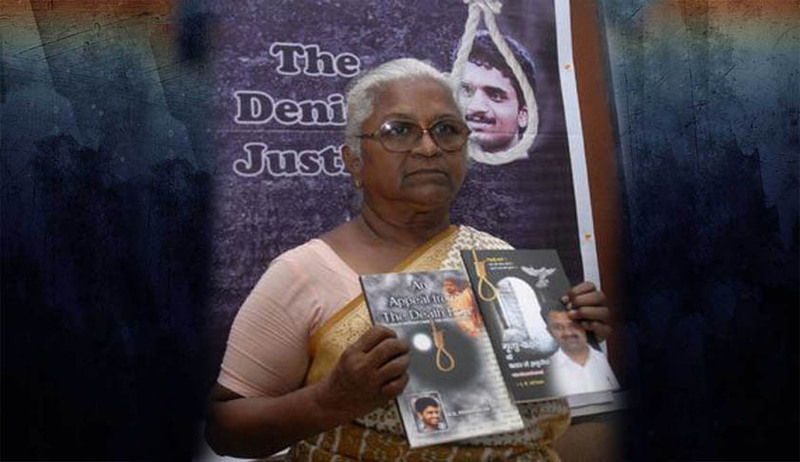 Arputham Ammal, mother of AG Perarivalan, one of the seven convicts in Rajiv Gandhi assassination case, on 6 January formally submitted a petition in the Tamil Nadu Chief Minister’s Special Cell at the Secretariat in Chennai seeking release of her son. Her petition assumes significance, as only last week, Perarivalan had sent a fresh mercy petition to Governor, K Rosaiah. She confirmed to Puthiya Thalaimurai, a Tamil television channel, that she was convinced that there was now no bar on the Tamil Nadu Government, to recommend to the Governor to accept her son’s mercy petition under Article 161 of the Constitution, after the Supreme Court’s judgment in Union of India vs Sriharan @ alias Murugan, delivered on 2 December last year. Arputham Ammal, according to reliable sources, has cited the 2 December judgment, to suggest that the powers under Articles 161 (Governor’s power to remit sentences) and Article 172 (President’s mercy powers) of the Constitution continue to be available to the appropriate Government, even though the statutory powers under Sections 432 and 433 of the Cr.P.C. have been circumscribed. In the December 2 judgment, the majority Judges of the five-Judge bench held through Justice Fakkir Mohamed Ibrahim Kalifulla, made it clear that the right to claim remission, commutation, reprieve etc. as provided under Articles 72 and 161 of the Constitution will always be available being Constitutional Remedies untouchable by the Court. They held that the appropriate Government, while exercising the statutory powers of remission under Section 432 or 433 of CrPC, has to consult the Central Government, and such consultation would mean concurrence of the latter, if the cases were investigated by the CBI or any other Central agency. The two dissenting Judges, through Justice UU Lalit, in paragraph 47 of their judgment, had held that in the changed scenario namely the death sentence having been commuted to that of the imprisonment for life under the orders of the Supreme Court, the approach would not be on the same set of circumstances which determined the previous rejection of mercy petition of the death row convicts by the Governor. Each of the three convicts, having undergone about 23 years of actual imprisonment, there is definitely change in circumstances, they said. “An earlier exercise of power under Article 72 or 161 may certainly have taken into account the gravity of the offence, the effect of such offence on the society in general, and the victims in particular, the age, capacity and conduct of the offenders and the possibility of any retribution. Such assessment would naturally have been as on the day it was made. It is possible that with the passage of time the very same assessment could be that of a different nature. It will, therefore, be incorrect and unjust to rule out even an assessment on the subsequent occasion,” the dissenting Judges explained. The majority Judges, dealing with the same question, in paragraph 163 of their judgment, had held that the power under Sections 432 and 433 of CrPC will be available to the appropriate Government even if such consideration was made earlier and exercised under Article 72 by the President or under Article 161 by the Governor. It is true that both the majority and the minority Judges did not go into the question whether the Governor, under Article 161, can reconsider a fresh mercy petition from the same convict, whose mercy petition he had dismissed earlier. The question which they answered was whether a subsequent exercise of power under Section 432 or 433 of CrPC is permissible after the President or the Governor once dismissed the mercy petitions under Article 72 or 161 respectively. But all the five Judges have implicitly endorsed the proposition that a change of circumstances could warrant a fresh reconsideration of the petitions from the same convict. Although they said so in the context of exercise of powers under Section 432 or 433 of the CrPC, there is no bar on the President or the Governor from using their powers under Articles 72 or 161 of the Constitution, to consider a fresh mercy petition from the same convict, if the circumstances have changed in the mean time. It is this absence of bar in the December 2 judgment which Arputhammal and her son, Perarivalan, have brought to the attention of the Tamil Nadu Chief Minister and the Governor.